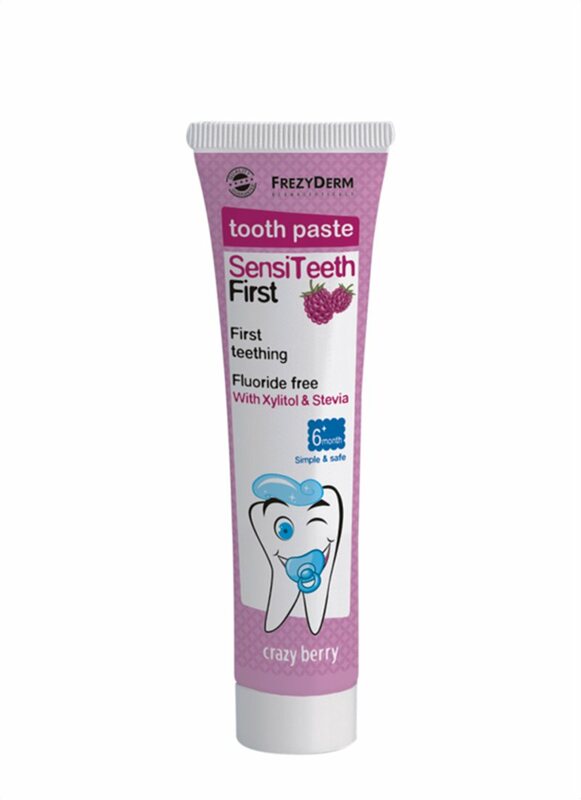 Sensiteeth First Toothpaste is ideal for infants aged from 6 months to children up to 3 years old. It has been specially formulated to protect the mouth’s natural mucosa. 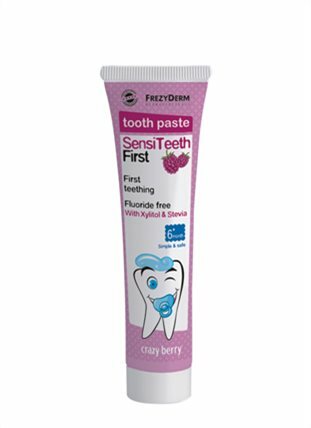 Sensiteeth protects first teeth from decay and plaque formation. Its delicious blueberry flavour makes it a favourite of little people everywhere. Was awarded as the Best Baby/Kids Toothpaste at the Beauty Shortlist – Mama & Baby Awards 2017. 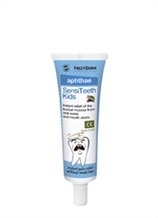 Apply a lentil-sized amount onto a soft children’s toothbrush. We would recommend brushing your child's teeth in the morning, afternoon and evening, following the last meal of the day. Useful tip: Avoid using your baby’s bottle as dummy as residual liquid in the bottle may increase the levels of sugar and acid in the mouth, which can damage baby’s teeth. Xylitol: Natural protection and anti-plaque action that prevents cavities developing in milk teeth.